There are over 50 videos available in streaming format. Flash player is required to view some of them, which may limit availability on some mobile devices. Currently most of the videos are of ultrasound clips, however other video content is planned for the future. “Thank you for all the great updates – especially the MCQ quiz and the polls. 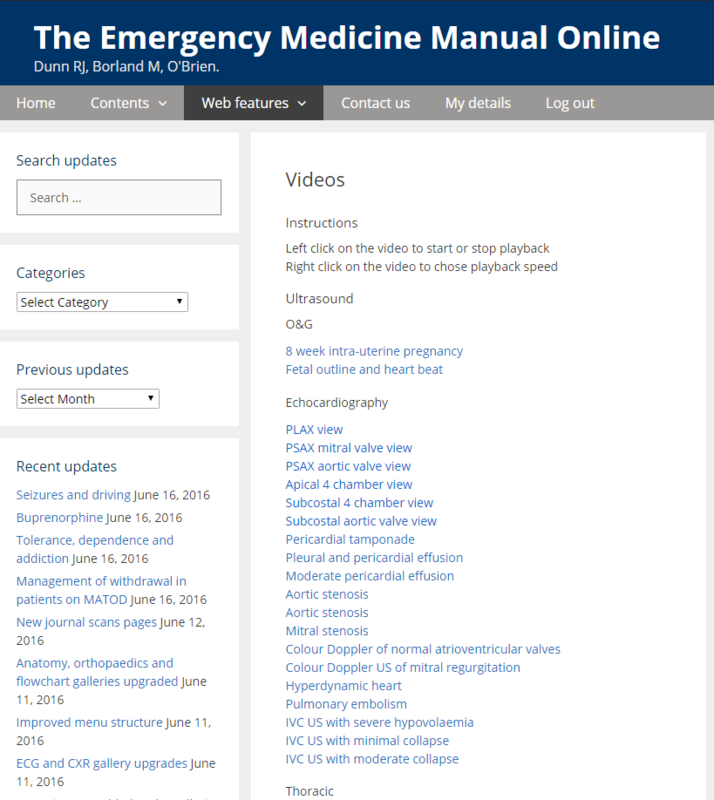 Great design with the updates being high-lighted on the first page!” – ED Trainee (now FACEM), SA.